Dr. Raphael Bueno is chief of the Division of Thoracic Surgery at Brigham and Women’s Hospital and co-director of the Brigham and Women’s Hospital Lung Center. He serves as senior surgeon at Dana-Farber/Brigham and Women’s Cancer Center, Brigham and Women’s Faulkner Hospital and Carney Hospital. As chief of Thoracic Surgery and professor of Surgery at Harvard Medical School, Dr. Bueno is a National Cancer Institute-funded investigator who combines translational research with a general thoracic surgery practice. Dr. Bueno’s primary research involves the development of novel translational tools in genomics that can be used to identify candidate predictive and diagnostic markers for cancer, as well as novel targets for therapy, specifically mesothelioma and lung cancer. Dr. Bueno led a BWH thoracic surgery team to Israel to complete the country’s first minimally invasive esophagectomies and teach Israeli surgeons how to perform these procedures. 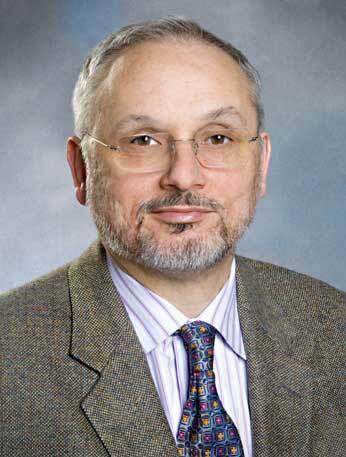 Board certified in surgery, thoracic surgery and surgical critical care, Dr. Bueno earned his medical degree at Harvard Medical School and the Massachusetts Institute of Technology, where he received the Henry A. Christian award, named after Peter Bent Brigham Hospital’s first physician-in-chief. Dr. Bueno began his graduate medical training as an intern in surgery at BWH, followed by a surgical residency. He completed a cardiothoracic residency at Massachusetts General Hospital and was recruited back to the Brigham to establish a thoracic surgery practice and research laboratory. With clinical interests in mesothelioma, esophageal surgery, airway surgery, and thoracic outlet syndrome, Dr. Bueno has been listed as one of America’s Top Doctors by Castle Connolly and named a top thoracic surgeon by Boston Magazine. For information about other members of the IMP team, click here.